Societe Generale Group, which spreads across 66 countries, announced its eBanking platform developed by NF Innova company for SoGe Serbia as the 2016 top innovative retail solution. With a launch of a Digital Branch the bank improved it’s e-banking platform by offering fast track loans, current account overdrafts, saving accounts, term deposits, direct debits and standing orders. 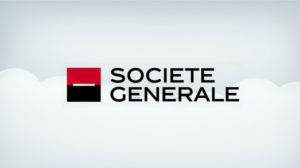 Societe Generale is also the first bank in the region to introduce Digital Signature and the real-time Video Calling application allowing its customers to manage their traditional and premium banking services remotely.